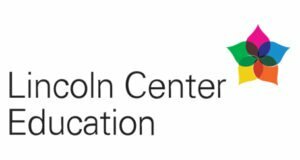 The Wichita Falls Alliance for Arts and Culture is excited to welcome Lincoln Center Education (LCE) to MSU again this spring for LCE’s Teaching Artist Development Lab from May 26-June 1. During the Lab, LCE will provide professional development training for teaching artists at all stages of their careers. Registration will be open to artists, educators, and youth development workers. The Lab will include experiential workshops in LCE’s inquiry-based approach to arts education, guidelines for effective planning, and strategies for responsive facilitation. Wichita Falls will also present live performances, compelling keynote presentations, and plenary discussions led by international leaders in the field. A three-member team from Lincoln Center Education will lead the Teaching Artist Development Lab. Jean E Taylor, master teaching artist and LCE’s Assistant Director of Curriculum and Instruction will oversee the LCE team. Additionally, Eric Booth, known as “the father of the teaching artist profession,” will be joining the team as a guest workshop leader for part of the week. Participants will enjoy Midwestern State University’s newly completed living quarters, on-campus dining facilities and technology-ready learning spaces, conveniently situated near the university’s Lamar D. Fain Fine Arts Center where lectures and special workshops will be held. The closest major airports are Dallas/Ft. Worth International Airport and the Will Rogers International Airport in Oklahoma City. Both are approximately a two-hour drive from Wichita Falls. Should you choose to fly into Dallas or Oklahoma City, you will need to make arrangements for ground transportation, whether it be airport shuttle, or renting a car and driving to Wichita Falls. At present, the only commercial airline serving Wichita Falls Regional Airport is American Eagle from DFW. Wichita Falls Municipal Airport’s airport code is SPS. Most booking websites will say Sheppard Air Force Base. Commercial taxi service is available from the Wichita Falls Regional Airport to Midwestern State University (approximately 9 miles). Wichita Falls is conveniently located in North-Central Texas, about two hours from Dallas/Fort Worth and Oklahoma City. Directions to Legacy Hall at Midwestern State University. For more information about visiting Wichita Falls and Midwestern State University, visit our Convention and Visitor’s Bureau page. For maps of Midwestern State University, click here. Registration is limited to 35 participants. 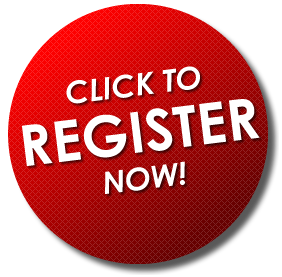 It is important to note that registering for the forum does not mean immediate acceptance. If you have questions about the program, contact Ann Arnold-Ogden at aogden@wichitafallsarts.org.